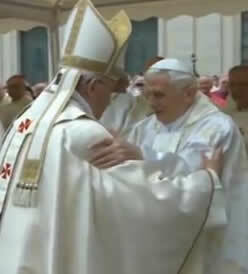 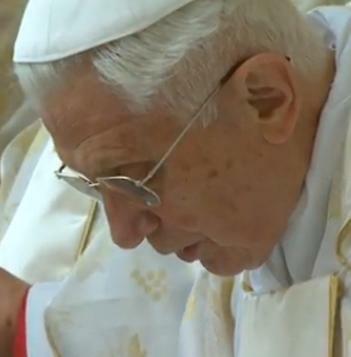 Pope Emeritus Benedict XVI joins 1,000 bishops to concelebration the Mass of Canonization. 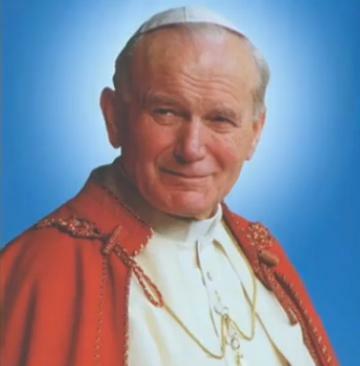 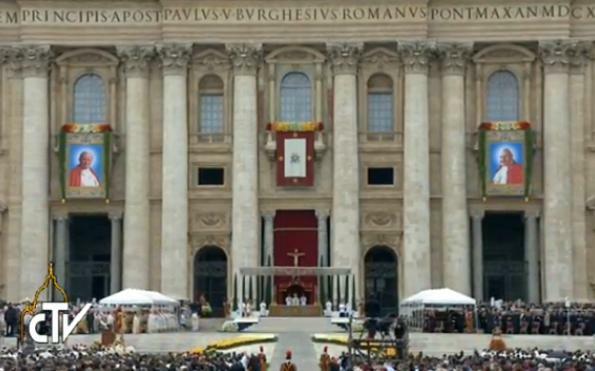 Pope Francis is petitioned to accept the two Blesseds for Canonization. 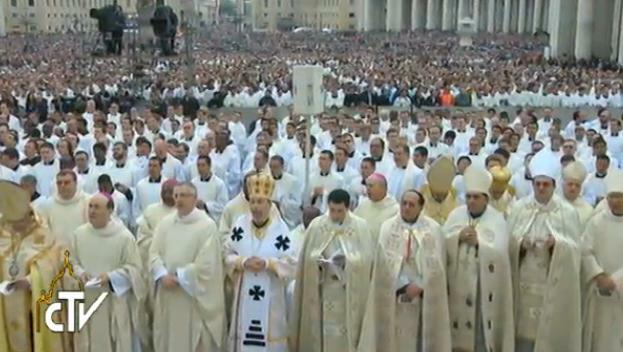 and proclaims them to be saints for our veneration. 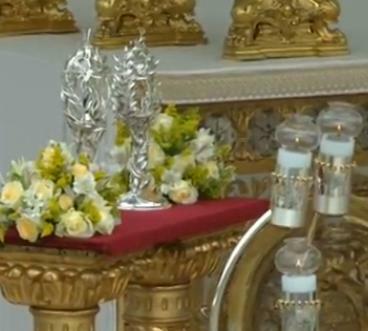 Relics of the two saints are brought forward. 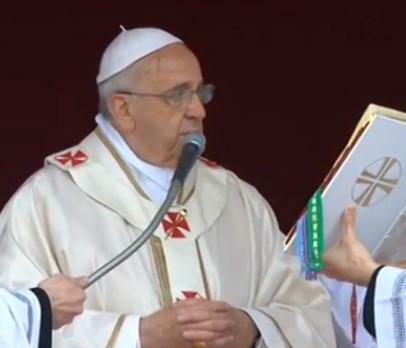 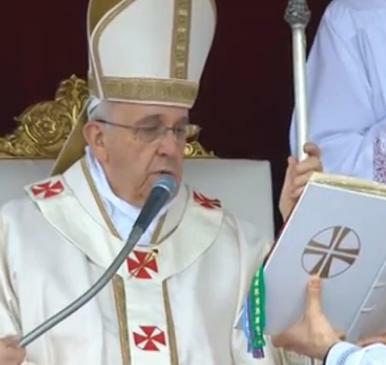 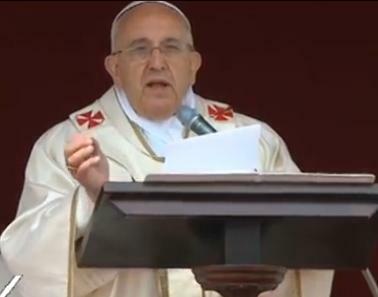 Pope Francis' homily can be found here. 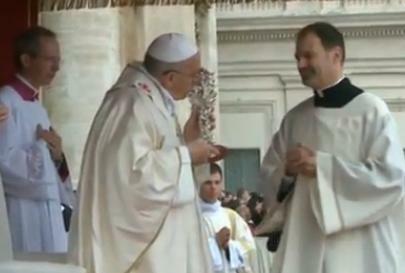 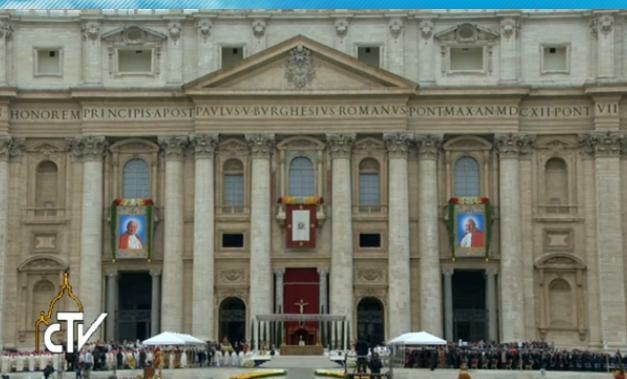 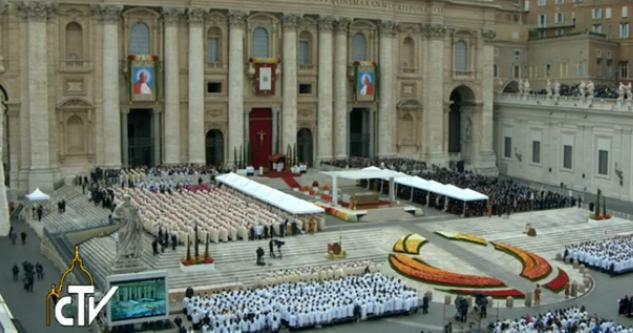 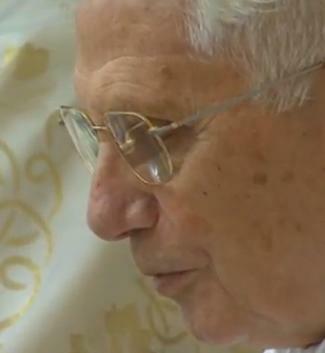 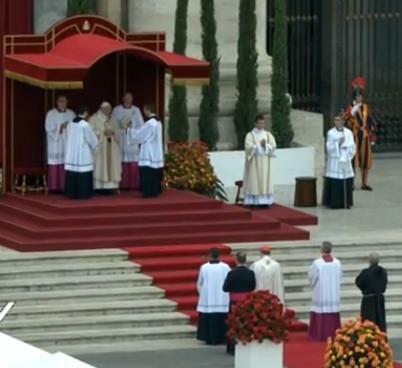 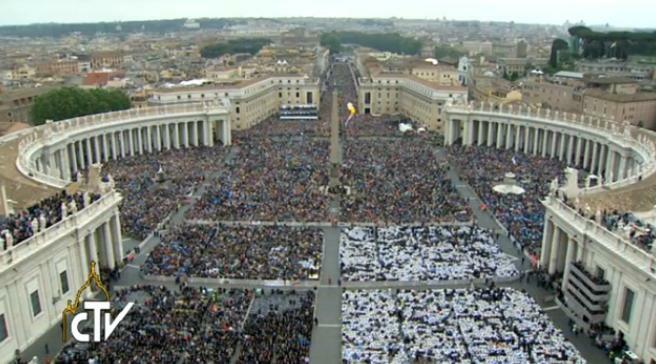 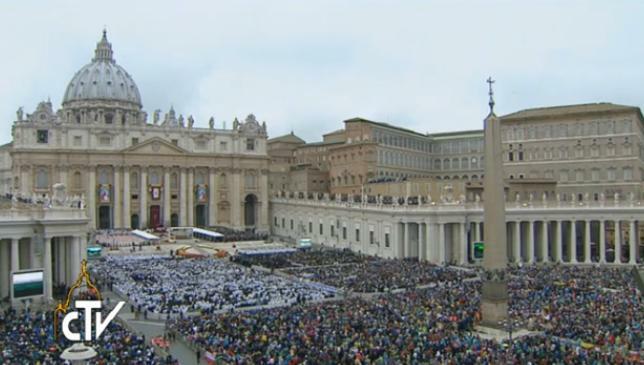 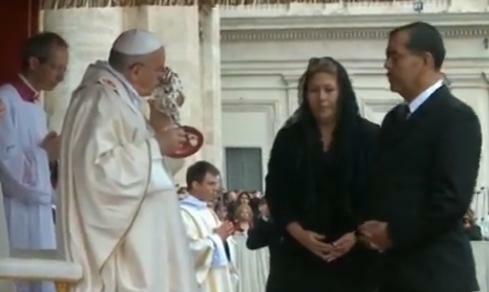 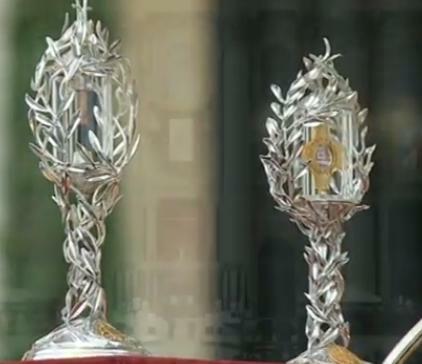 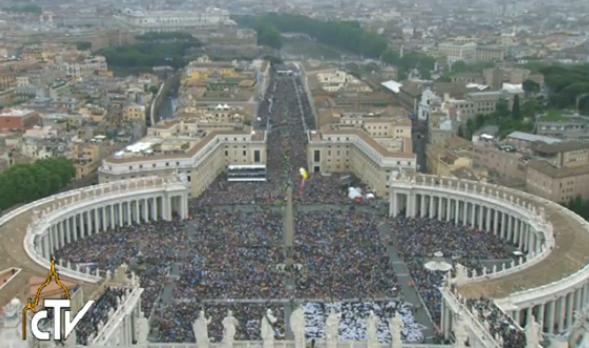 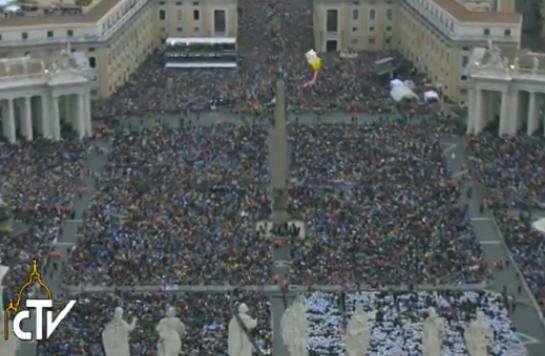 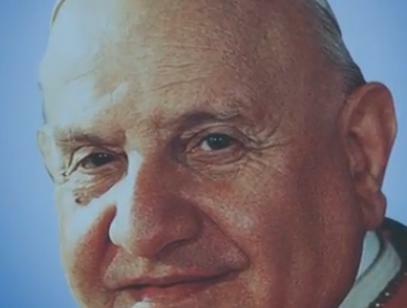 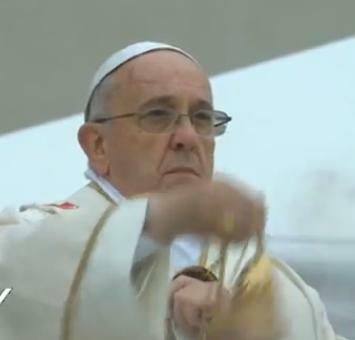 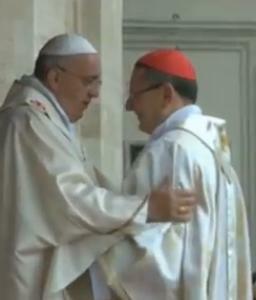 Images from CTV, Centro Televiso Vaticano, where a video of the Canonization Mass may be found.